Idaho Falls is a city in and the county seat of Bonneville County, Idaho, United States, and is the largest city in Eastern Idaho. As of the 2010 census, the population of Idaho Falls was 56,813, with a metro population of 136,108. As of 2013, the population was estimated at 58,292. Idaho Falls serves as a hub to all of eastern Idaho and much of western Wyoming. Due to its relative economic vitality, high quality of life, and proximity to world-class outdoor recreation, it is often featured in various publications' lists of "best places to live." The area is served by the Idaho Falls Regional Airport and is home to the Idaho Falls Chukars minor league baseball team. Idaho Falls also serves as a regional hub for health care, travel and business in eastern Idaho. The community's economy was mostly agriculturally focused until the opening of the National Reactor Testing Station in the desert west of Idaho Falls in 1949. The city subsequently became largely dependent on high-income jobs from the Idaho National Laboratory (INL), known locally simply as "The Site." The laboratory made several cutbacks in 1993. Since then the town has added call centers, a growing retail, entertainment, and restaurant sector, and a regional medical center. Idaho Falls was named by Business Week as one of the 2010 List of "Best Places to Raise Kids". 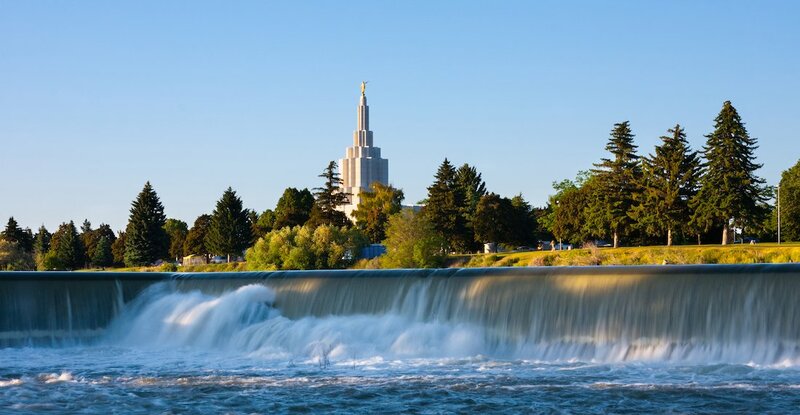 In addition, Forbes.com selected Idaho Falls as one of the "2010 Best Small Places for Business & Careers".Also, Money.CNN.com included Idaho Falls as one of their "Top 100 Cities in 2010".